Ketones. It’s a funny word. If you just say it out loud, it might bring to mind some 1950’s a cappella singing group. These days, you have probably been hearing about it in the form of “raspberry ketones” and how it is linked to weight loss. But the truth of the matter is, ketones play an interesting role in health. There is debate about taking supplements such as raspberry ketone products, and not too many actual human trials out there. However the effect of ketones on your body is a documented fact. I shall wave the wand of illumination on the subject, and you can decide for yourself. 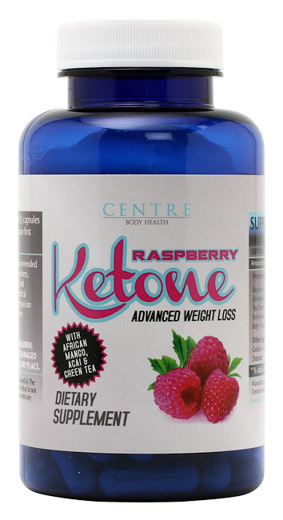 First, let’s look specifically at the hype around raspberry ketones. Dr. Oz. He is of course the Oprah of health, any product he even whispers about is immediately sold out. But sometimes people don’t listen to everything he says, just the parts they like. I do not personally know what he said about them but would like to point out you should do your own research before deciding to take the supplements. Raspberry ketones are what give a fresh raspberry that wonderful smell. Many products point out the benefits of being natural, but not all raspberry ketone products you purchase are coming from the fruit – some are coming from a lab and are possibly synthetic. The observations that they burn fat, increase metabolism and boost weight loss are clinical only as they relate to animal studies. There are no extensive human studies that I am aware of to validate the claims, and no studies on the safety of them in high doses – that doesn’t mean they don’t work. It just means there is no study that the scientific community as a whole (and they are a “prove it to me 1000 times” bunch to be sure) currently accepts as proof for humans. Next, let’s look at ketones in your body. Ketones are processed in your liver. It appears that your heart and brain especially can thrive on ketones when glucose is not available. This is one reason why when people fast, they do not die of starvation immediately. Your body will turn to all of its own fat stores to live on for as long as possible, directing that energy to the most crucial systems for existence. And of course, your heart and brain are two organs that control your life above all others. Healthy functioning people can stimulate ketones in several ways. Low carbohydrate diets can move you into a state of ketosis, when you are burning body fat for fuel. It depends on the individual as to how low the carbohydrate intake has to be restricted to result in true ketosis, but generally the more extreme low carb diets are designed specifically to put you there. Non-ketogenic low carb diets are those that restrict carbohydrate intake and usually result in more gradual weight loss and still offers the benefits of a low carb lifestyle. Ketones are released in your urine as by-products of burning fat for fuel. They are not measurable on a dipstick unless the concentration is high enough. In other words, we all release ketones whenever fat is burned – from the fat stored on our middle, or that bowl of guacamole dip we just ate. But it isn’t always measurable. Heavy workouts, especially those that combine cardio with resistance, can also result in burning fat and releasing enough ketones to measure, peaking about 2 hours after the workout. People with Diabetes can’t process glucose effectively. Their bodies do not release insulin effectively to process glucose. That’s why diabetics are supposed to limit sugar and keep carbohydrates in balance; the glucose in those foods can spike a diabetic’s blood sugar to dangerous levels. Likewise, they need to monitor levels of ketones to avoid having levels that are too high, which brings me to the next point. Ketosis vs. ketoacidosis. Ketosis is being able to measure ketones being released from the body as a by-product of burning fat for fuel. When you burn enough fat for fuel instead of glucose, your body goes into ketosis. There are urine dipsticks used to test for ketones – they will change color on a scale of light to dark pink to purple shades. When you get a color register of any kind, it means there is a measurable amount of ketones in your urine and you are in “ketosis.” Being in mild to moderate ketosis can be a good thing if it is your goal – it is a physical proof you are burning fat. Type II diabetics usually have enough insulin of their own in addition to what is injected to keep out of the ketoacidosis danger zone, but should still be aware. So why would you want to be in ketosis? Well, naturally weight loss is a primary goal for many. People in mild to moderate ketosis often report excellent energy and vitality, don’t crave sweets and processed foods, have a lower appetite and can be satisfied with less calories and food. Ironically, people in ketosis can often eat more calories in a day and still lose weight because it is being burned instead of stored. Coconut oil is another substance under study for how it might impact brain health and ketones. When your brain energy and health is compromised because of inefficient glucose functioning, there are theories that it contributes to conditions such as dementia and Alzheimer’s disease. Coconut oil is a medium-chain fat source and is supposed to be instantly available as energy, taken straight to the liver for energy processing, and that energy is ketones taken to your heart and brain first. In fact, we might discuss coconut oil in more depth – but that’s a story for another day, kids. To purchase your own bottle from Pure Edge Nutrition, click here. Are You Practicing Good Dental Hygiene Habits?